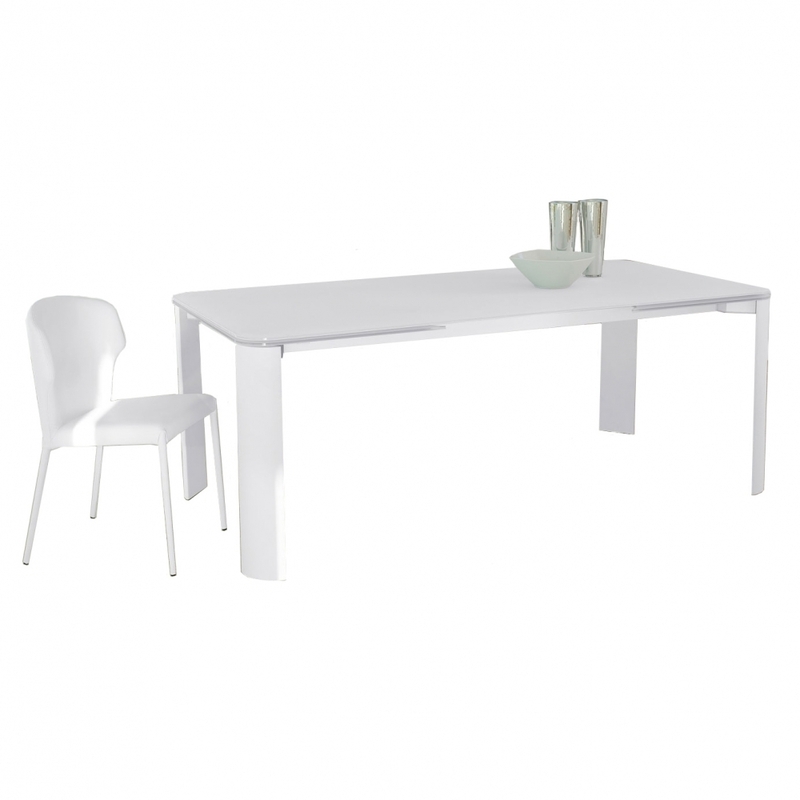 Extendable table with automatic lateral double extension. White or black varnished aluminium legs. Aluminium frame, top and extensions in extra light tempered painted glass (10 mm). The matching of materials such as glass and aluminium finds one of the best expression in the Arthur table, able to satisfy the needs of people preferring a more technical and meticulous design that, for this reason, is completely versatile and suitable to every furnishings style. Priced here for the smaller version but available in two sizes.